Hello and welcome back fellow crafters!!! 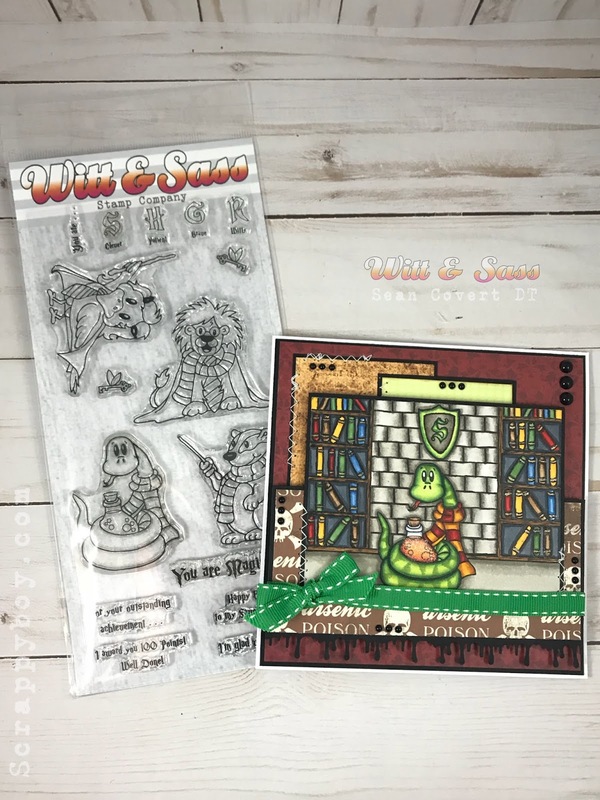 I'm back with another FABULOUS release from Amy at Witt & Sass Stamp Company!! I'm so excited to share this one with you!!! SOOO many of us just love Harry Potter!!! It defined a whole generation!!! On that note, I've never seen anyone do such a fun take on this theme! Check these out!!! 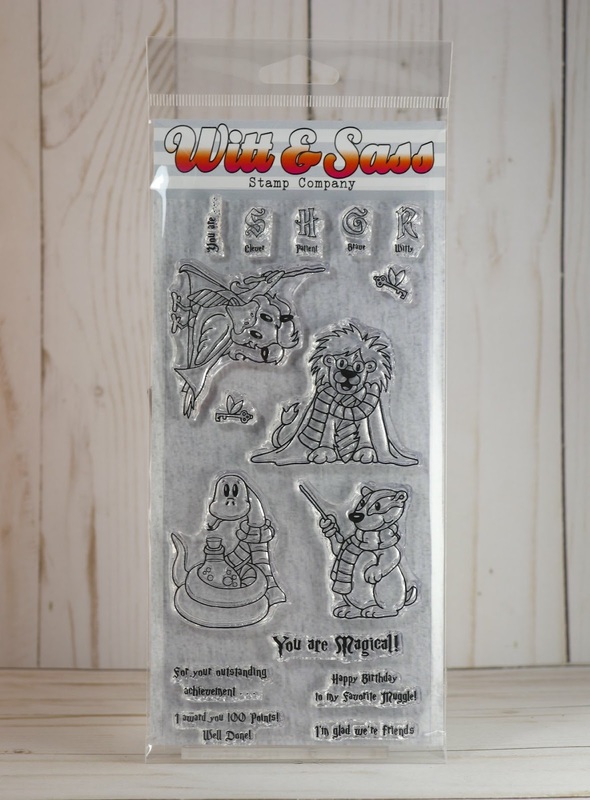 This is the Magical Creatures Stamp Set!!! Isn't it just FANTASTIC!!!!! 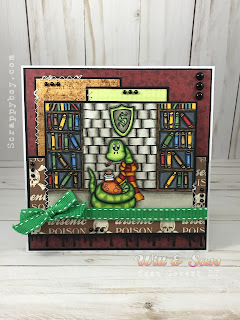 I choose to work with the snake in the set and here's my creation! I did a magical scene!! So the snake is in his magic room creating some evil spells and tonics!!! Lol. I hand drew the bookshelves, brick wall and shield and added the S from the magical creatures set in the middle of the shield. Kind of like a Coat of Arms. 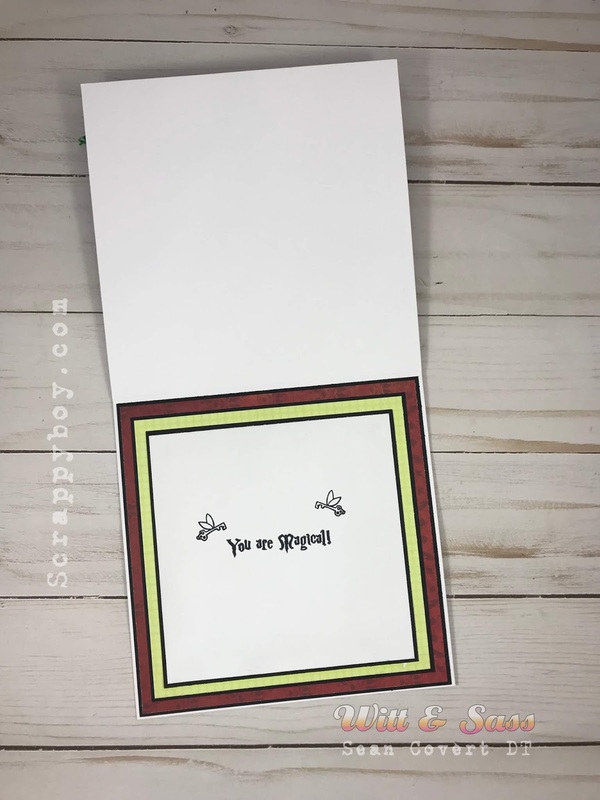 I also used a Martha Stewart punch to add the black drips at the bottom of the card. 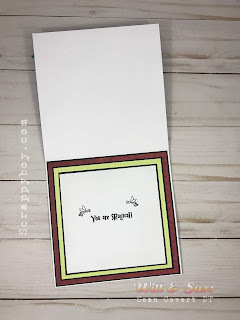 As always, I like to finish the inside of my cards as well. 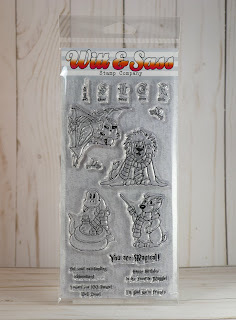 I used a sentiment form the Magical Creatures set as well as the flying keys from the set. How cute are they!!! 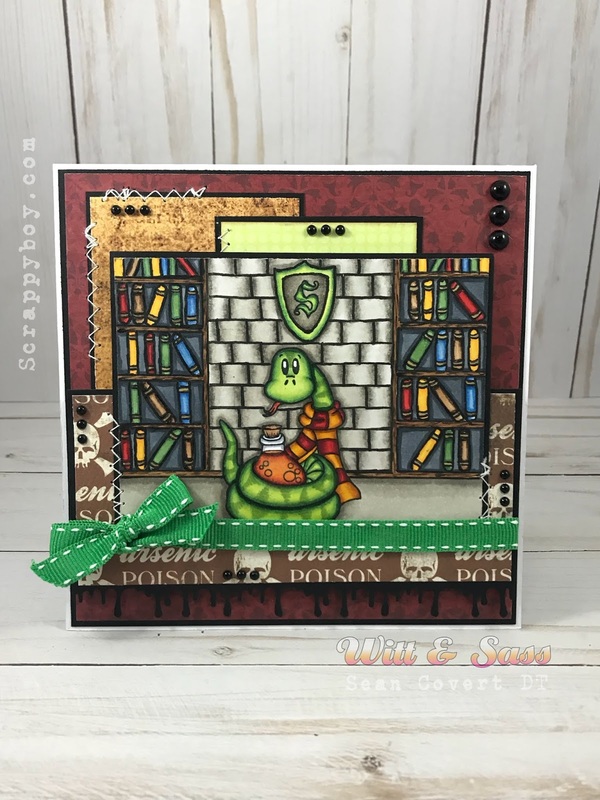 Make sure you pop on over to the other Design Team members blogs to see their fabulous creations & head on over to the Witt & Sass Blog for some more inspiration!! I love this!! What a beautiful card! I think it is awesome that you drew the background! Wow!! Copy and Paste this button to your Blog! 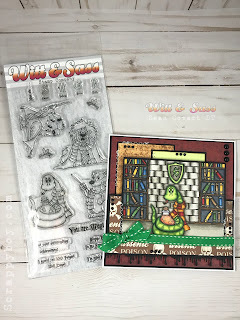 Witt & Sass Stamp Company You Are Beautiful!! !